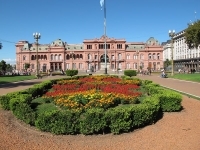 Got a question or comment about Attractions in Argentina? Ask a Travel Expert! From the colourful and bustling barrios of Buenos Aires to the breathtaking Andes Mountain Range in north, Argentina has no shortage of sightseeing opportunities. Boasting a plethora of different habitats and environments to explore, it would take visitors a good few months to see everything this South American gem has to offer. The northern regions of the country offer an exciting blend of colonial heritage, natural beauty and an indigenous flavour, while the spectacular Iguazu Falls, surrounded by the lush forest of the Iguazu National Park, are a must see. Enjoy a day of wine tasting in Mendoza, or head west towards the Chilean border and marvel at the Andes Mountain Range. The curious mix of desert, snow-capped mountains, sandy beaches and majestic glaciers in the Patagonia region is extraordinary, and the world's southern-most city, Ushuaia, nestled on the Tierra del Fuego archipelago, is a departure point for those keen on a trip to Antarctica and also offers some of the best brown trout fishing in the world. 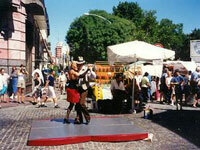 The sights and sounds of Buenos Aires are a major draw for many. Stroll along the tree-lined parks and boulevards, visit Evita Peron's grave at La Recoleta Cemetery, explore La Boca, the city's most popular barrio, and take in the Latin American flair by enjoying a romantic night of tango. Buses are the most cost effective way to navigate this impressive country and domestic flights are available at affordable prices. The best time of year to visit Argentina is during the autumn months from March to June when the weather is a little cooler. With so much to see and so little time, it's best you get packing and head off to Argentina for the adventure of a lifetime.